Life is good. The legislative session ended with some positive wins for the bioscience sector. March Madness is about to tip-off and hikers and bikers are replacing skiers and borders on our sun-kissed mountain ranges as we prepare for the arrival of spring. Please save the date of April 10 for our next luncheon meeting at Lobo Rainforest in Albuquerque. Our event is titled: Advancing Science for a Better World. Our two distinguished speakers will focus on gene editing/engineering and gene therapy. Dan Jenkins, Managing Director of Food and Agriculture for the Washington, DC-based Biotechnology Innovation Organization (BIO), will give a broad overview of worldwide industry trends. He’s being teamed with Dr. Richard Sayre, Chief Scientific Officer for Pebble Labs. Dr. Sayre has extensive biotech experience in universities, national laboratories and the private sector. In Nature Journal, Dr. Sayre is cited as one of the top 5 crop scientists who could change the world. The planet will soon need to support ten billion people – three billion more than today., according to Dr. Sayre. It’s a future that requires immediate actions to create a foundation for more sustainable food supplies and better disease control. Pebble Labs — https://www.pebblelabs.com/mission/ — is committed to solving these and other global challenges. Board member Wayne Savage and the Arrowhead Center in Las Cruces will host Dan Jenkins for a solo presentation on April 11. More information on these two programs will be posted to our website by the end of this week. If you are interested in learning how to finance your startup with angel funds, register today for Thursday’s luncheon event that will be held at the WESST Enterprise Center, 609 Broadway Blvd. NE, Albuquerque. The event is being hosted by the New Mexico Angels and sponsored by Sandia National Laboratory Federal Credit Union. NMBio members are eligible for a discounted rate. 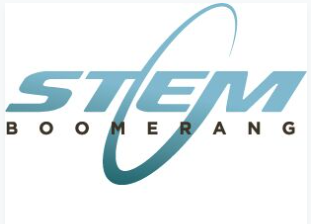 Maggie Werner-Washburne, the founder and force behind STEM Boomerang – an initiative to recruit and match STEM professionals who are interested in building careers in New Mexico with representatives of NM businesses, research and educational institutions – reports the legislature approved funds to start a 501c3. “We were funded from the Junior Appropriations,” said the Regents Professor emeritus (biology) from the University of New Mexico. The New Mexico Bioscience Authority — https://nmbioscience.com — also benefitted from bi-partisan approval of a Junior Appropriations bill, according to Dr. Richard Larson, Executive Vice Chancellor of the University of New Mexico Health Sciences Center and Chairman of the 501c3. The public-private authority’s mission is to facilitate the growth and expansion of an industry capable of employing thousands of New Mexico citizens while also nurturing bioscience research, innovation, and investment in the state for years to come. Recurring and non-recurring funding from the Senate and House is expected to total about $130,000, according to Dr. Larson. Governor Michelle Lujan Grisham has 20 days from the close of the legislative session that took place on Saturday, March 15 to veto or not veto these two bills. She is expected to support both initiatives based on her designating the biosciences as one of her target industries for economic growth in the state. Gov. 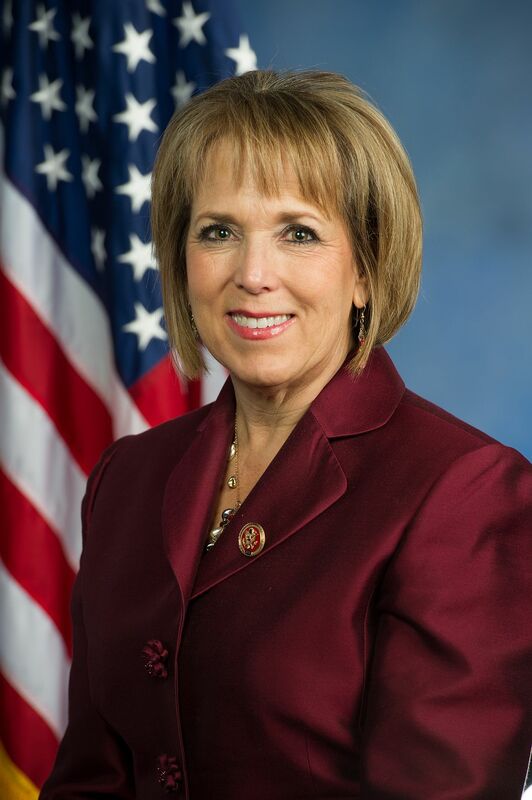 Michelle Lujan Grisham praised the state legislature for supporting bipartisan legislation to create Centers of Excellence at four institutions of higher learning, transforming our universities into genuine economic engines that will grow industries and create jobs across the state. Each of the centers will receive an initial grant of $500,000. The legislation creates the University of New Mexico Health Sciences Center will be home to a Center of Excellence for bioscience, expanding crucial medical and scientific research and innovation. A Center of Excellence for cybersecurity will be housed at New Mexico Tech, ranked second in the nation for its cybersecurity program in 2015 and certified as a Center for Academic Excellence in the field by the Department of Homeland Security and the National Security Administration. A Center of Excellence for sustainable and renewable energy at San Juan College, revitalizing a leading program and aligning with the priorities established in the Energy Transition Act, SB 489, which directs the development of renewable energy production and renewable jobs workforce training in the San Juan region. A Center of Excellence for sustainable agriculture will launch at New Mexico State University, supporting the university’s existing value-added agriculture research and fostering partnerships with private industry, including New Mexico’s emerging hemp industry, which will be aided by HB 581, the Hemp Manufacturing Act. The Rocky Mountain Life Science Investor & Partnering Conference returns to Vail, CO this September. It brings together leading investors and strategic partners from across the U.S. and the region’s top life science companies to cultivate partnerships and source investment opportunities in the areas of medical device, diagnostic, biotech, pharma and digital health. The conference, which will be held at the Vail Marriott Mountain Resort, features thirty companies selected from CO, AZ, NM, and UT. Companies from these partnering states will present to 50+ investors from across the U.S. In addition, there will be keynote sessions, networking and one-on-one partnering opportunities. Two years ago, there NMBio companies presented at this event when it was last held in Vail. Last year, two NMBio members, Avisa Pharma and VisionQuest presented at the event when it was held in Phoenix. The grant provides matching funds to New Mexico companies that have been granted federal SBIR awards. SBIR grants are competitive federal grants supporting small businesses engaged in research and development of high potential commercial technologies. This competitive grant will match Phase I SBIR awards up to $25,000. Phase II awardees are eligible for a match up to $50,000. The NMSBIR Matching Grant Program provides recipients additional resources to commercialize the technology developed with federal SBIR funding. NMSBIR is designed to support local science and technology companies in achieving development and commercialization goals. 1. IDEAS Engineering and Technology develops high-reliability, cost-effective electronics subcomponents for space applications. They currently have an SBIR Phase II grant from the Air Force Research Laboratory. The company is based out of Albuquerque and was founded in 2011. They will receive $50,000 from the program. 2. mPower Technology is commercializing technology to capture solar energy at the highest possible efficiency. They currently have an SBIR Phase I grant from the Army. The company is based out of Albuquerque and was founded in 2015. They will receive $25,000 from the program. Companies interested in applying for the Fall FY20 NMSBIR Matching Grant Program are encouraged to look for the application this summer at http://gonm.biz. Contact the Office of Science & Technology Director Myrriah Tomar at Myrriah.Tomar@state.nm.us or (505) 827-0222 with any questions. Economic Development Secretary Alicia J. Keyes has announced that nine New Mexico companies will receive Innovation Voucher Grants to help their businesses grow by covering eligible expenses such as rent at a state certified incubator. The Innovation Voucher program is designed to enable early-stage science and technology companies to overcome business development barriers by providing small amounts of funding at critical moments during company growth. Innovation Vouchers are competitive grants that are capped at $2,000 per individual award. Applicants must be a New Mexico-based science or technology company with a New Mexico address. Applicants are also required to be associated with an approved program: ABQid, Arrowhead Center at NMSU, The BioScience Center, The Enterprise Center at San Juan College, FatPipe ABQ, FatPipe Raton, FatPipe Rio Rancho, The Joseph L. Cecchi Venture Lab at STC.UNM, Navajo Tech Innovation Center, Project Y Cowork Los Alamos, The Santa Fe Business Incubator, The South Valley Economic Development Center, Taos County Economic Development Center, TEAM Technologies, and WESST Enterprise Center (Abq, Farmington, Las Cruces, Rio Rancho, Roswell, and Santa Fe). Applications are reviewed by the Technology Research Collaborative. 1. Acoustic Biosystems has developed systems that employ resonant ultrasonic waves in fluid chambers. These systems can be used as a ‘continuous flow centrifuge’ to separate and process cells and blood in medical devices. 2. EquiSeq develops and sells genetic tests for horses. For horse breeders who seek to improve the health of horses, EquiSeq’s Myopathy Panel is a set of DNA tests that predicts the onset of muscle-wasting disease before symptoms appear. 3. Guidance Foundation is a group mental health outpatient practice. Their innovation includes Artificial Intelligence in their Electronic Medical Record to improve doctors’ diagnostic abilities. 4. HatchForm creates innovative strategies and programs for economic development organizations, communities & governments, and entrepreneur support organizations like innovation hubs, accelerators, and business incubators. 5. Integrated Deposition Solutions, IDS, has developed the next-generation of aerosol printing technology, NanoJet™. 6. NeuroGeneces is a health tech start-up that improves neurological health through sleep science. 7. Parental Values is a mobile parental control that provides parents the tools to monitor, track, and control the content on their children’s mobile device. 8. RadPhysics Services (RadPhysics) provides radiation oncology professionals with a comprehensive and integrated approach to error management. 9. Think Ubiquitous builds computational utilities that pack heavy computational power in easy-to-use modular data solutions for unique applications. Awardees are required to complete a short report on their accomplishments three months after receiving the award. Goals such as receiving follow-on investment, bringing a new product to the market, creating jobs, and more are tracked after three months and after a year. Companies interested in applying for the next round of Innovation Vouchers are encouraged to apply online at http://gonm.biz. 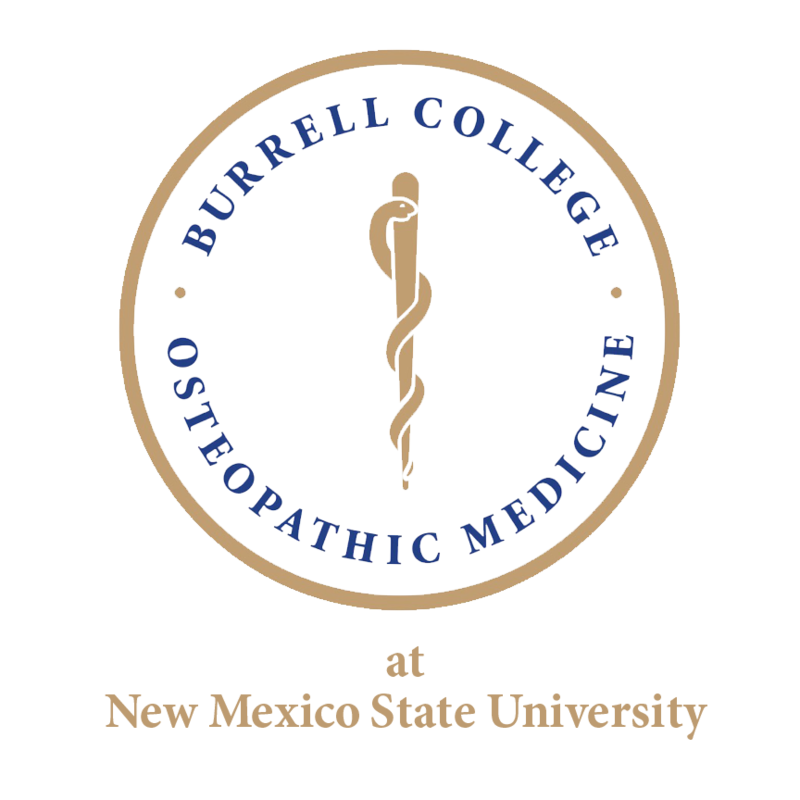 Las Cruces-based Burrell College of Osteopathic Medicine is expanding in a move that officials say is an important milestone for the medical school. The institution, a NMBio member, signed a five-year lease for a new research facility at 9035 Advancement Ave., that includes 4,500 square feet of lab space and offices for faculty and staff. The expansion is significant as it allows the institution to continue building out its research capabilities. The lab will staff around 12 faculty researchers, plus a full-time lab manager. The lab is equipped to support research in the areas of cell and molecular biology, microbiology and protein chemistry. Burrell was founded in 2013 and first opened its doors in 2016. It is a freestanding institution located on the New Mexico State University campus. Its inaugural class is set to graduate next year.